Annie Ridout was one of them. And in her enlightening new book, she shares the tips and tricks that helped her build a better working life around her family. 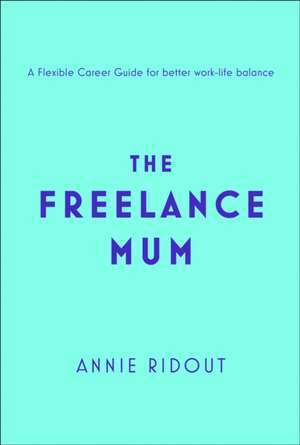 From choosing a career and launching a website, to getting your name out there and perfecting your brand, to the nitty gritty of childcare options and daily routines, The Freelance Mum is a comprehensive guide to setting out on your own path.